More than a few senior citizens got their first tablet in the form of a Kindle Fire last Christmas, and I'm sure a few more will be getting HD versions this year. 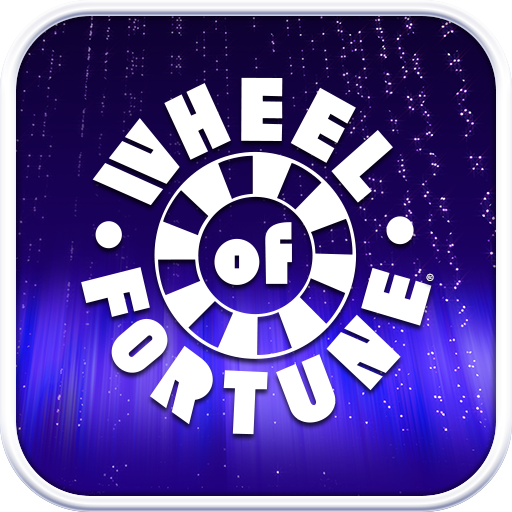 Maybe that's why the powers that be at Sony Pictures chose to make the official Wheel of Fortune mobile game exclusive to Amazon's Appstore, at least until January 13th, when it will hit the Play Store as well. Wordsmiths can purchase the game for $2.99. If you've managed to avoid daytime TV for the last 30 years, Wheel of Fortune is a hangman-style word game where contestants win money for correctly-guessed letters based on a spin of the wheel. Multiplayer is local only, with a hot-potato style passing system. Surprisingly, there's a lot to love here for dedicated Wheel fans. 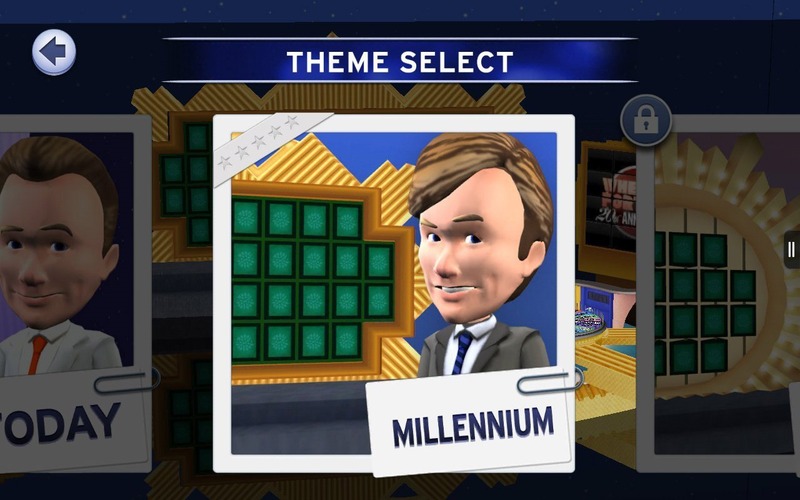 Perhaps the most interesting is is the "Meet Pat Sajak" option, which shows the Wheel of Fortune set change through the decades it's been running on CBS. Pat is there too (With full voice-over) but since he's basically some kind of Dorian Gray superhuman, the only thing that changes about him is his hairstyle. 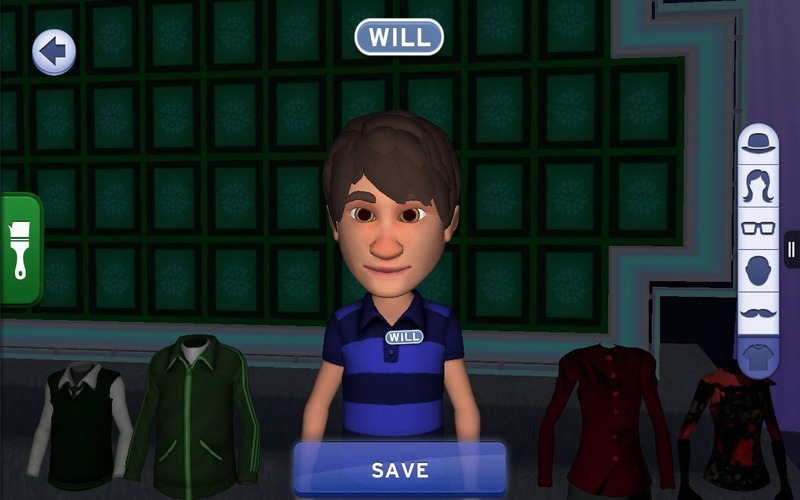 The cartoony graphics are in full 3D, and you can customize your avatar to your liking. Unfortunately, there's a fly in the soup (20 characters, 6 vowels) here. 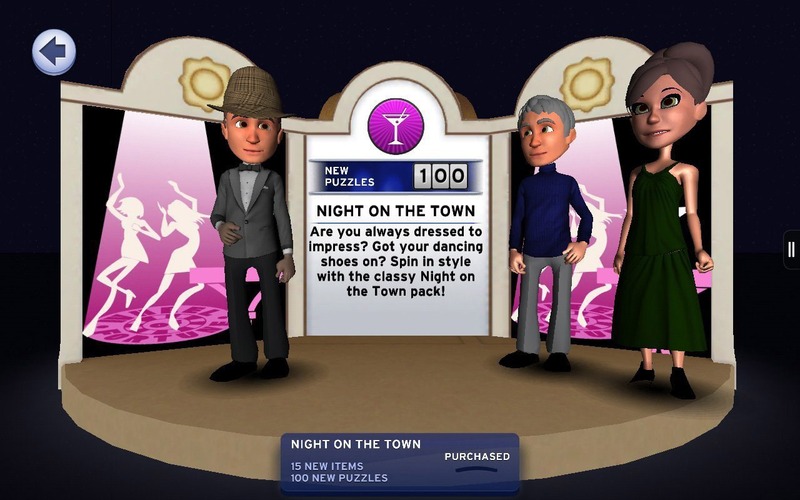 Extra puzzles and themed sets of items for your avatar are sold as in-app purchases, in a game that already costs three bucks. 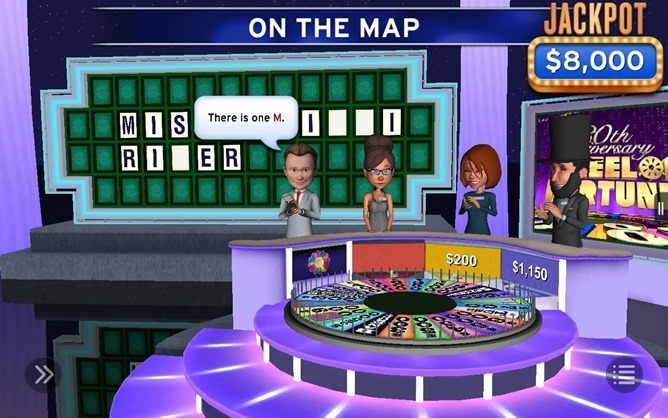 Also, there's no Vanna White. What gives?